The attention span of the internet is infinitesimal. Chances are, at least one of those three things mentioned will be completely forgotten about in a year. The lessons will have been learned, or not. The coverage will have been covered. For me, talking about an event as the main focus of a blog is backwards. It puts the focus on the event, rather than the point of view, and makes the learning that much less “portable”. Chances are, the lessons learned from Nestle and Facebook are much broader than “don’t respond to people on Facebook with corporate lingo”, but when the entire position is framed within the Nestle example, it becomes more of a challenge for people to apply it to their own situation, be it personal or professional, and therefore becomes less valuable to someone reading it a month, 6 months, 6 years from now. The lessons we are learning now while these new tech implementations of humanizing concepts are in their infancy deserve to be recorded. The thinkers and people who are passionate about it should all have a voice. But let’s document the times in a way that will resonate into the future, and not be left as a one-off relic of the times. This is what makes content evergreen, rather than ‘news’. What say you? Am I nitpicking? Google Reader? Feh! : How I use Twitter as RSS purgatory. I am a RSS addict. There’s too much great content out there, and I feel like I need to devour all of it. It’s a sickness, I know. Because of my addiction (there are about 200-250 sites with RSS feeds that I have enough of an interest in to want to keep up with, at this point), I’m frequently overwhelmed with the numbers sitting next to each feed in my Thunderbird install (ApartmentTherapy, for example, has 19,000 posts that i have not yet gone through). Feeds I thought I’d like, but never end up reading. The first two are dealt with easily enough, and weeding your overall list of subscriptions is a mentally freeing experience, that allows you to concentrate the awesome in your daily content ingestion routine. That pesky second one is a problem though. I feel bad unsubscribing because chances are there are some really great thought-provoking posts that get written, but having to filter through content that isn’t as relevant to me leads to huge bulidups and makes it seem like a chore. So Twitter has become my RSS Purgatory, and I frequently ‘downgrade’ blogs that have lived in my RSS reader over to following them. I’m working on setting up a dedicated Tweetdeck group for these types of accounts, which should further optimize the process. Do I miss posts? Sure. But I can safely rely on my community to let me know directly or indirectly when there’s worthwhile reading out there. So, if you’re like me and have way more feed subscriptions than you could ever keep up with, take an hour, weed the garden, and move some over to Twitter. Could you please slow down just a bit? The rise of blogs, micro-content, sites like tumblr and posterous, RSS, and others have made it very simple for anyone to publish their thoughts online. As it turns out, there are thousands of interesting people posting all kinds of informative and interesting information on thousands of different topics on thousands of different websites, and every time I stumble across another one of them, my curious mind wants to poke around and read all the articles, and then I look up and its 4am and I have to get up at 7. So I implore you, Internet. Stop being so interesting. Somewhere along the way we hit a tipping point where there’s way more stuff out there that I’d be interested in reading, listening to or watching than minutes in the day to read, listen to or watch them. It makes me kinda sad that I won’t ever get to all of the posts that would enrich my life. I hope that this one and the others on my blog have enriched yours in some small way. 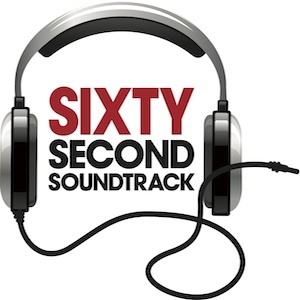 One of the projects I’ve been working on at Sony is a video series entitled 60 Second Soundtracks. The concept is simple. I work with some of the biggest music geeks I know, but we’re rarely given the opportunity to share our love of music professionally from a personal viewpoint. The series was conceived to give us all a place to talk about our favorite albums and why we love them so much. The result is, I think, a really interesting collection of stories of people’s love of a wide range of albums and songs, and reminiscences of their own personal histories. Nobody picked albums we ‘happened to be working on this quarter’.There was no business reason behind the choices, other than that they felt that these albums needed to be heard by more people. Thanks to Chris at Etc. Productions and Joe at Vella Interactive for helping to make the vision a reality. Update: here’s a widget with some of the vids, not all.